I recently visited some family friends that have a beautiful backyard space and view. We decided that before dinner we’d have a drink on their deck since it was a lovely night. Their deck is high off the ground and is pretty large. While it felt sturdy enough, it did creak a bit as all 7 of us walked around it. Lucky for them, they already have plans to have it replaced later this month. How old is your deck? The typical deck last 7-10 years. Five years after construction is a good time to start taking notice of the condition of your deck to make sure that it lasts. You may be able to get more mileage out of it if you address any concerns when they first start. 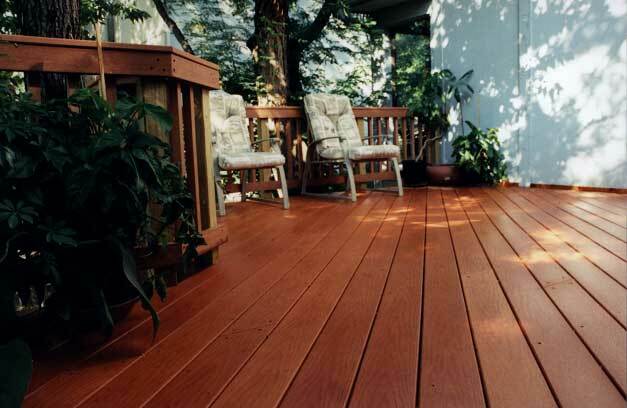 Is your deck starting to sway or shake? A shaky deck is not a safe deck. It is one sign of an attachment or footing that is weak. Deck collapses can very serious when an attachment or footing fails. If your deck sways, make sure you call a professional deck builder to come perform a deck safety inspection. Are you deck boards splintering a lot? Cracks and splinters in wood is normal over time, but if they are splintering a lot, it’s a sign of the boards starting to dry out. Replacing a few deck boards can be an easy fix and doesn’t require the entire deck to be replaced. Do you rails feel steady and secure? 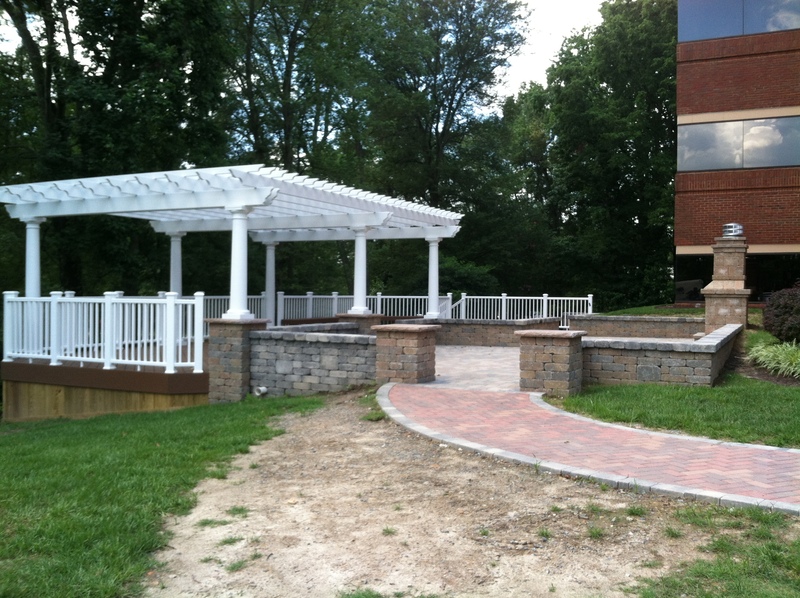 Deck railings are a very important safety aspect of your outdoor living structure. Make sure that your railings are not unstable or shaky. If you think you are in need of a professional deck safety inspection, please contact your local Archadeck Outdoor Living office. They may have needed some time to dry off before the big wedding celebration, but the bride and groom are lucky that no one was hurt when this dock gave way. Deck (and dock) safety is a serious concern. People are injured each year as a result of deck footings giving way or the deck detaching from a home. In the case of the video above, it may have been a case of too many people on a small dock. Over the past few years, videos of deck failures at special events, like weddings or proms, have been released online. If you are hosting a graduation party, wedding or other special event at your home, make sure you evaluate the safety of your outdoor structures. Your deck may feel safe normally, but can it withhold the weight of a large number of people? If your deck has ever shook or felt at all uneasy before, it’s important to have it inspected by a professional deck builder. A professional will be able to look at the structure and tell you the overall shape it is in, what, if anything, should be addressed now or if it should be replaced entirely. There are certain parts of a deck that are key components of the overall safety of the space, while others can be easily replaced or enhanced in the short term. The structure, footings, connections and attachment are all very important to the deck’s safety. If one of these fail, it could cause the deck to collapse. 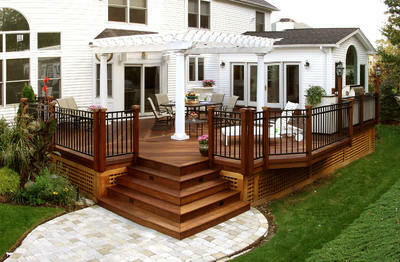 Conversely, decking boards, stairs and rails can be updated or replaced until the entire structure is enhanced. If you have concerns over the safety of your deck, please reach out to your local Archadeck office. There are so many components that have to work together to create the perfect deck design: tastes, budget, shape, flow and property. The physical property often plays one of the biggest roles in how a space will work. 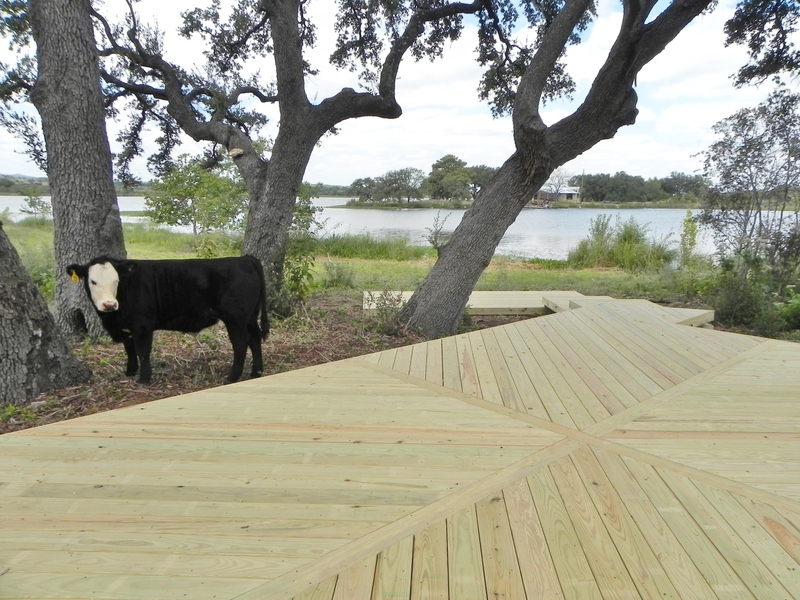 This project from our deck builder in Austin is a great example of a deck design where the property is the star. The owners of this large Texan property wanted to take advantage of their gorgeous land. Not only does it have beautiful trees, but it also sits on a body of water. 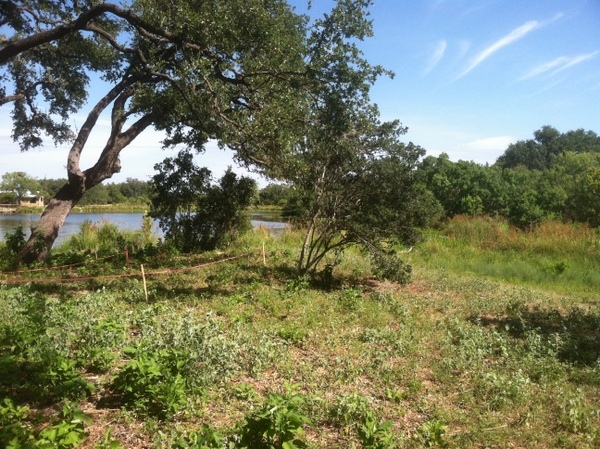 Unfortunately, before this project, much of it was covered with patchy vegetation and too many of the water views from the outside of the home were blocked by the trees. The homeowners didn’t want to lose any of the trees, but wanted an outdoor living space that jetted out further into their property, closer to the water. 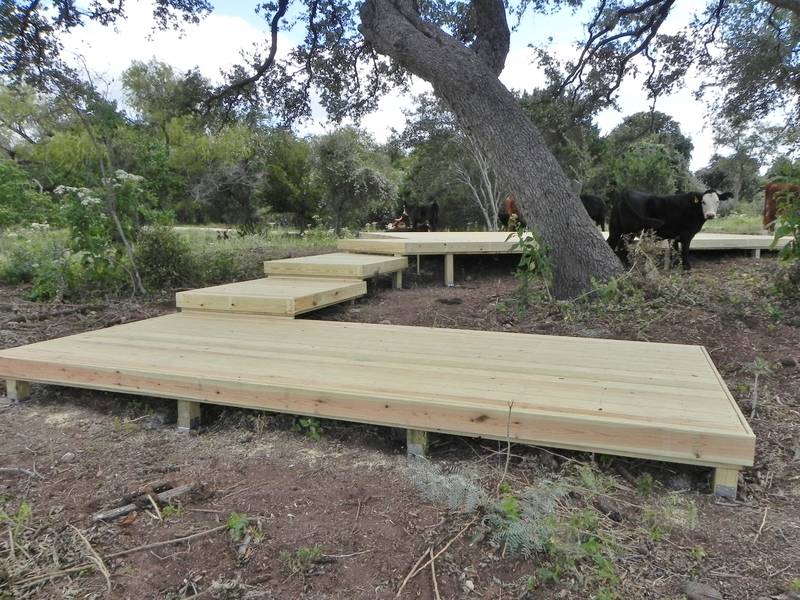 Jimmy Odom, of Archadeck of Austin, designed this deck to work around the property and create amazing views for the owners. The multi-tiered deck winds around the trees providing several spots to place some chairs or even an outdoor dining table. The owners can go past all the trees and have unobstructed views of the water, or they can stay in the trees’ shade and still enjoy their surroundings. Even their cows are interested in enjoying the space! Pressure-treated pine was used to build the deck in Austin. Pressure-treated pine is a great decking option for many parts of the country. It’s a natural and less expensive than some other decking materials. The boards were installed in different patterns to add some visual interest to the space. With the numerous angles of the deck, it didn’t make sense to keep everything parallel throughout because it would have looked slightly “off” in different areas. This project is a great example of how the property can impact design. 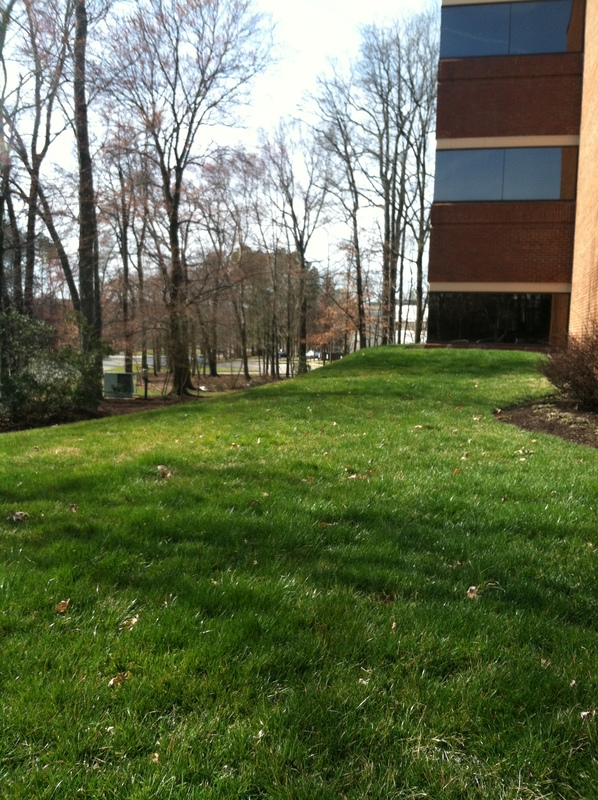 The property does have a slight slope going down towards the water. If the owners wanted the same shape and size, the lower level would have had to be raised significantly. Not only could this impact cost, but it also would have impacted the view from the higher spots on the project. By designing a multi-level space, Jimmy was able to keep the view as the focal point while providing the space the owners wanted. If you have questions on designing decks, porches, patios or other outdoor living space, please give your local Archadeck Outdoor Living office a call. Despite the cooler weather, fall provides its own set of outdoor entertaining opportunities. From homecoming get-togethers and tailgating, there is always a reason to be outdoors in the fall. Before having friends and family outside on your deck this season, make sure to have it checked for any safety issues. Last Saturday afternoon, eight people were injured when a deck collapsed in Winona, Minnesota. A group of students were celebrating homecoming at an apartment with a raised deck when the deck broke away from the home and fell. The number of people on the deck at the time is unclear, but eight people were treated for injuries. One student that was in the lower apartment heard a crack went to see what was happening; “I was in shock watching it because you don’t expect a deck with people, I mean everyone’s having fun, it’s homecoming, everyone’s out here having a good time seeing each other and then you look outside and people are falling to the ground.” Source. 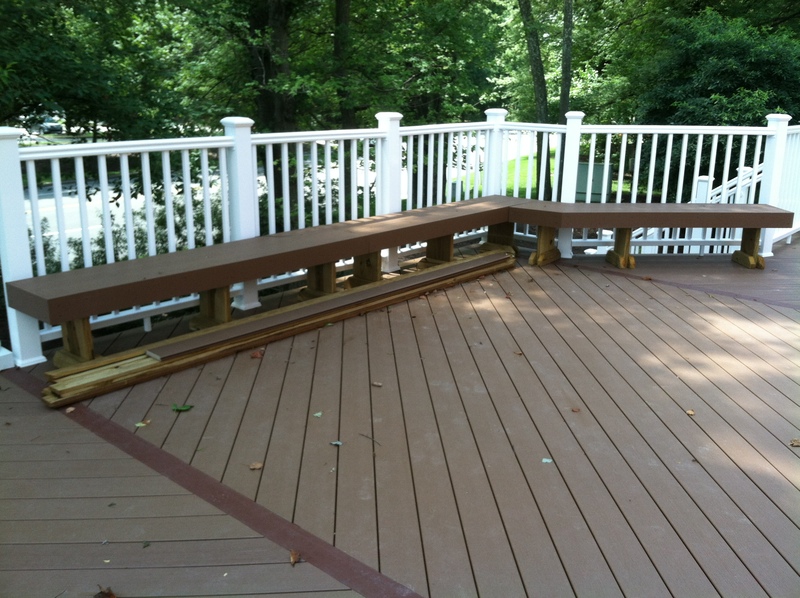 Deck failures are, unfortunately, a common cause of injury in the United States. The average deck lasts about 10 years before it needs to be replaced, but it could be unsafe before then. At Archadeck, we suggest that decks should have regular deck inspections after 7 years or if any issues are noticed. A homeowner may, for instance, notice some creaking while walking on the structure or warping of deck boards. Trained deck safety inspectors will look at all parts of the outdoor structure before providing the homeowner with recommendations on next steps. In many instances, there are simple replacements or improvements that can be made to make the deck last a little longer. In other instances, the inspector may recommend taking down the existing structure and replacing it with a new one that is up to code and deemed safe. At Archadeck Outdoor Living, we use the acronym BE SAFER to explain the deck components we inspect when we look at existing structures: boards, exits, structure, attachment, footings and foundation, every connection and railings. Fall is the best time of year for a deck safety inspection. Heavy snow, ice and yard debris in the winter months can weaken the deck’s structural integrity even more if not inspected before the harsh weather hits. If you need to have a professional deck builder and inspector look at your outdoor space, please contact your local Archadeck office. Visit our web site for pictures, information, and to submit a request for a free consultation. Sign up to receive our blog posts via email.